About 212 jobs in Energy & Chemicals sector. the understanding and mitigation of regulatory and compliance risks such as market manipulation, anti-trust, bribery & corruption, and money laundering. Partner as a Compliance Advisory SME with all other parts of the Compliance team, including in the development and execution of the Compliance Training agenda and the annual Compliance Risk Assessment plan. Serve as a Compliance representative in regional leadership meetings, as needed. Bachelor's degree from an accredited university (or equivalent work experience). Minimum of ten yearsâ experience in a combination of Trading Compliance or comparable Governance and Audit roles. Significant knowledge the T&S Businesses (including Crude, Products, Energy, Shipping, Operations and Supply) is required. Robust understanding of global financial regulations, compliance requirements and the Shell Code of Conduct as they relate to the region. Strong understanding of trading instruments, trading strategies, and risk concepts. Excellent interpersonal and relationship building skills including the ability to interact with and influence at all levels of an organization and engage with a wide range of stakeholders. Must be comfortable speaking up, escalating concerns and can provide an independent view and voice. Must be able to resolve conflict and deliver tough messages with grace. Team-oriented and collaborative, with the ability to work independently and share knowledge and learnings broadly. Compliance is a foundation of the way in which T&S does business and therefore integrity is one of the fundamental values that we are seeking as part of the Compliance team.We believe integrity is the hallmark of a person who demonstrates sound moral and ethical principles during their work.Integrity is the foundation on which co-workers build relationships, trust, and effective interpersonal relationships.It is essential that the successful candidate will be able to give clear examples of integrity as one of their core values. related pay and the opportunity for personal and professional development are of course part of the package. Since 2009 Evonik Industries AG has been certified as a family-friendly company by the German Hertie Foundation. Execute R&D projects to develop efficient synthesis concepts for colloidal silica platform. You will have the chance to innovate, develop, and design new materials and/or new processes to create breakthrough colloidal inorganic particle for industrial application. Support the production scale-up process of the developed colloidal products. Monitor proactively the technological development of colloidal silica in the Asian region and globally. As an active team member, support projects to identify the application of the developed colloidal silica and the evaluation of market potential related to it. Monitor activities of competition together with Application Technology, New Growth Business and provide these data to the team.. Actively represent innovation expertise at exhibitions, fairs, conferences, conventions etc. Contribute innovation expertise for strategy developments from innovation point of view. Ensure that all necessary measures are implemented to secure our own IP (Intellectual Properties). Support the organization in cooperation with partners in the region. Master or PhD Degree in Chemistry or Chemical Engineering. Freshman up to 3 years of job experience in related field. The position requires a compulsory laboratory technical skills, in particular lab experience in Sol/Gel Chemistry (Stober or modified Stober Synthesis); surface treatment of particles; and/or dispersion of particles in water or organic systems. Knowledge in setting up lab synthesis work with relevant ESHQ aspect is indispensable. Ability to set goals to work independently in conducting experiments, organizing data and analysis of the results. Collaborative team player, being able to be a team leader as well as team player. The incumbent reports to Supervisor (Mechanical) and will be stationed at our Terminal in Jurong Island. Responsible for the proper maintenance on various rotating and static equipment and systems including the plant piping systems and structural support systems. Determine materials, spares, tools and method required to complete maintenance task safely. Plan and execute machinery condition monitoring and field data collection with production team and engineers. Ensure all plant valves are fully operational and all mechanical components properly grease and lubricated where applicable, including carry out, strip, redress and rebuild of various types of control and plant valves. Supervise and work closely with in-house contractor and equipment vendor to execute maintenance work at the terminal. Ensure safeguards are followed such as valid work permit are issued, wearing prescribed personal protection equipment etc. Liaise with production team with all aspects of mechanical system testing, running, trouble-shooting, carry out material specification checks on all installed piping components such as gasket, bolts, etc. Participate in emergency response procedures and assigned to any specific roles and responsibilities for such purpose. Minimum of two (2) years practical experience in the oil and petrochemical refinery. Experience in mechanical systems, knowledge of cryogenic hydrocarbon plant or LNG facilities are preferred. Proficient in usage of Microsoft Office and trained in the use of the CMMS. Ability to speak, write and communicate effectively in English. High self-motivation with the ability to work with minimal supervision and adapt to changing priorities and assignments. Able to carry out day to day assign tasks with minimum supervision. Able to interpale / translate procedure/checklist and perform maintenance work. Provide timely feedback to supervisors on maintenance status and unresolved problems areas. Able to input maintenance activities, equipment history and work completion into CMMS. The candidate must have a Professional Certificate/NiTEC, Diploma in Engineering (Mechanical/ Mechatronic/ Electromechanical) or equivalent. An attractive remuneration package will commensurate with candidate's experience and qualifications. 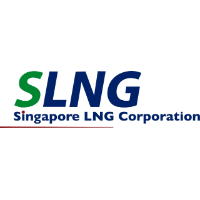 Singapore LNG Corporation Pte. Ltd. Reporting to the Team Lead CDD, the Analyst CDD is part of the CDD new business team within the Global Financial Crime team. Develop an understanding of the Trading & Supply compliance systems and controls including a working knowledge of the Financial Crime policy and procedures. 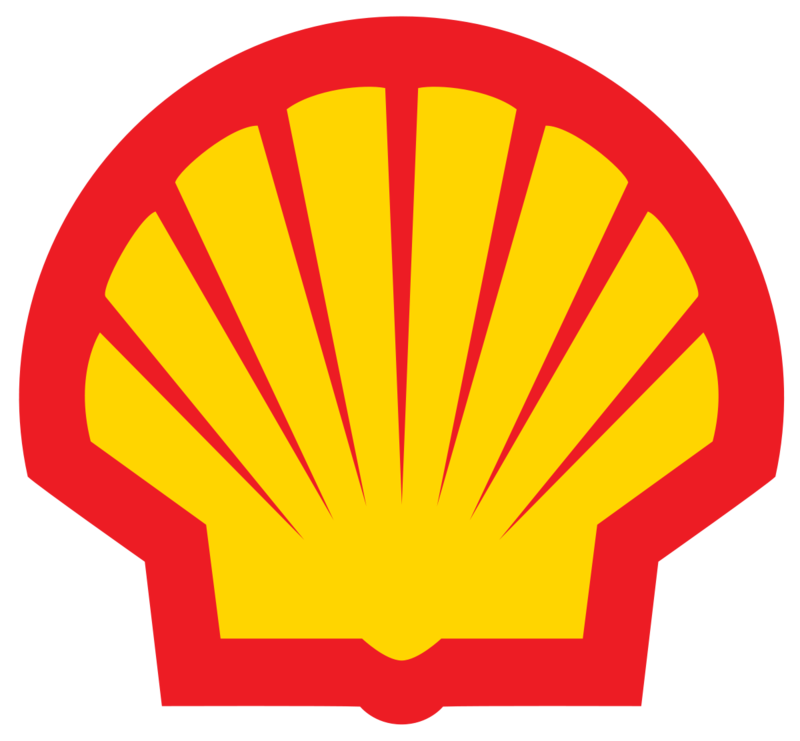 Analyse documentation, assess the risks of new counterparties and complete a risk assessment and recommendation to start business with Shell Trading and Supply. Complete reviews at different levels of due diligence depending on the risk profile- Simplified, basic, standard and enhanced. Risk assessments to include analysis of findings, identification of any red flags and mitigation. Liaise with Counterparty Onboarding Focal Points to obtain required company information/documentation. Analyse substantial amounts of data including transactional data. Verify evidence obtained and identify red flags and other areas of concern. Prepare documentation to support discussion with Senior Management on counterparties with significant financial crime risks and/or High-Risk PEP relationships. Ensure compliance with policies and procedures, including handling of customer data to comply with GDPR. Articulate due diligence requirements and the onboarding process to stakeholders at all levels of the organisation. Escalate issues that require further investigation. Prioritise workload with shifting demands and priorities in a fast-paced commercial environment. Work to tight deadlines and often under pressure. Be an active and effective member of the Financial Crime team. Bachelor Degree with at least 2 years of working experience in KYC/AML areas. Experience in Tier 1 Financial Institutions (Wholesale, Commercial/Corporate, Investment Banking) and/or large Commodities or Trading Houses (Oil, Energy) would be highly valuable. Certifications in AML such as Certified AML Specialist (CAMS), International Association Diploma in Anti Money Laundering or suitable equivalent would be advantageous. Fluent in Arabic, Russian, French, Spanish, German, Dutch, Portuguese or Mandarin would be advantageous. Understanding of high risk jurisdictions and the associated risks. Understanding of the risks of dealing with Politically Exposed Persons. Understanding of corporate structures and complex entity structures including SPVs, Trusts, Funds including identification of Ultimate Beneficial Owners. Robust written and verbal communication skills. Stakeholder engagement skills to manage relationships across different businesses and functions. Exhibit resilience at work. Be able to meet tight deadlines often under pressure. Self-starter who can work independently demonstrating personal drive and taking own initiative. Demonstrated ability to collaborate and work effectively in a team. The incumbent reports to Vice President, Information Technology and will be stationed at the Corporate Headquarters at Alexandra Road to help develop a digital transformation roadmap and drive the implementation of digital initiatives to achieve the intended digital transformation objectives for the organisation. Scan and identify current and future market and technological trends relevant to the development of new digital platforms and gain knowledge on selected technologies, in order to develop, communicate, and implement business solutions aligned with digital objectives. Work with internal and external stakeholders to identify business needs/requirements across the SLNG value chain with the aim to deliver value using appropriate digital platforms and technologies. Develop an SLNG Digital Transformation strategy and roadmap to be endorsed by the Board. Engage solution providers and startups with innovative solutions to assess solution fit to identified opportunities. Continually maintain the digital roadmap as technologies and opportunities evolve. Track and report digital KPIs identified. Drive the implementation of the digital roadmap according to the agreed schedule. Work with business groups to develop the business case for digital opportunities. Work with vendors to manage and execute approved digital projects. Report status of digital projects to senior stakeholders. Strong analytical skills, ability to work independently and in a team environment. Possesses good interpersonal and communication skills. Good command of written and oral English. Incumbent needs to be persuasive, well connected, creative, and innovative and strong stakeholder management skills. Bachelor Degree in Computer Science, Information Technology, Computer Engineering or equivalent. Assisting in the preparation of collaterals and marketing materials. Research and generation of online content. Engaging customers online and offline. Engaging media across different countries. Supporting Igloohome's participation at events/roadshows. Working closely with other teams (Product, Operations & Business Development) to improve on our product and communications. Versatile and quick to learn. Loves the buzz of working in a startup environment. Ensure compliance to Shell Electrical DEPs and DEM1 and DEM2 requirements are met and adherence to DCAF throughout the ORS process. Raise/review deviations, derogation when required and stakeholders are engaged for proper approval. Ensure Electrical engineering deliverables from EPC contractors are reviewed at different stages of the project and correct inputs/advice are given when required. Participate with site project team, EPC contractors and vendors during site walk to address the location plan, construction feasibility and brown field integration. Attend project meeting to review the EPC deliverables as and when required. Coordinate with relevant disciplines for integrating the new asset with the existing asset. Participate and perform Technical bid evaluation of bid packages for Engineering Design and Equipment package. Participate with the project team for the safety review when required. Provide assurance during Electrical construction and participate/witness the testing when required. Develop work plan with contractors, operations, maintenance and all relevant parties for execution with minimum interruption to operating plant. Interface with Operations, Technologists, Engineering, Maintenance & contractors / vendors for smooth execution. Attend FAT/SAT and Functional testing to ensure electrical equipmentâs are meeting the design intent & project premise. Prepare / execute/review switching plan, method of statement, JHA when required. Provide electrical support during commissioning & startup for the capital projects. Review test packages submitted by contractors for completeness and ensure as built make up is done and submit DNF for final update. Upon project completion, ensure projects have proper closure for all documentation as-built including GSAP and PM plan. Maintain high equipment reliability by ensuring Flawless Project Delivery is implemented in the project. 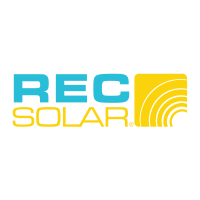 Initiate and contribute to improvements including plant safety and reliability. Minimum 5 years relevant working experience in the field of electrical engineering. Oil/petrochemical industry safety course is advantage. The Machinist position will support the Supply Chain – Manufacturing Division that is based in Singapore. Sets-upand operates special purpose equipment, conventional (Turning), and/ornumerical control (NC) machines and machining centres for fabrication ofmetallic and non-metallic parts that hold to the high quality machinestandards required within the organization. Startsand observes machine operation to detect malfunctions or out-of-tolerancemachining, and adjusts machine controls as required. Mustbe able to select, align, and secure holding fixtures, cutting tools,attachments, accessories, and materials on machines such as mills, lathes,jig borers, grinders, and shapers. Mustdemonstrate a basic to intermediate skill level (indicate part, turn OD's,and qualify ID and OD) on manual lathe. 1+years related experience or equivalent combination of education andexperience. Abilityto read and interpret documents such as blueprints, safety rules,operating and maintenance instructions, and procedure manuals. Musthave working knowledge of geometric dimensioning and tolerancing (GD &T). Abilityto apply basic concepts of algebra and geometry. The role of the intern is to support the HR functions in Employee Engagement projects, Recruitment activities and Sustainability activities. He/she will be expected to engage with all levels of employees in operations. Pre-employment health check follow up. Proficient in Microsoft Office, Microsoft Outlook, Microsoft Powerpoint, Google forms & etc. We are currently recruiting Telesales Executive - Corporate Training and Education for our Asia Pacific markets division. portfolio of Oil & Gas training. This position offers great learning opportunities for experienced sales and business development professionals from the training or skills development industry. Successful candidates will have strong earning opportunities and career advancement. If you have experience in selling training from other industries, it will be an added advantage. This role will be based in Singapore. Birthday paid leave, outpatient medical benefits, company hospitalization plan, sales training and mentoring.